Below are a number of sites provided for your educational convenience. The American Association of Orthopaedic Surgeons engages in health policy and advocacy activities on behalf of musculoskeletal patients and the profession of orthopaedic surgery. The American Academy of Orthopaedic Surgeons has provided its members a link to “Your Orthopaedic Connection”, a public education Web site that contains hundreds of articles with information concerning orthopaedic conditions, treatments, and rehabilitation exercises. 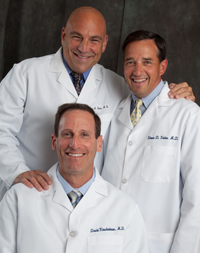 The Medical Society of New Jersey serves as the voice of physicians in the Garden State. We use the collective strength of our physician members to have an impact on legislation, regulations, and managed care. One of the nation’s leading academic medical centers, Robert Wood Johnson University Hospital provides state-of-the-art care across the full range of health care services. Provides education for patients and health care professionals regarding diseases and injuries of the hand and upper extremity.